A variety of different shows were performed at Cherry Hill East and West over the past three years. The arrival of March also means the arrival of spring musicals at the Cherry Hill high schools. Cherry Hill High Schools East and West present their annual spring musical around this time each year, with Cherry Hill East’s show typically opening in early March and Cherry Hill West’s show opening in late March or early April. Over the past few years, a variety of musicals have taken the high school stage. From shows with serious themes to Disney adaptations, Cherry Hill audiences have had the opportunity to enjoy a variety of different performances. Dive into recent history and take a look back at the high school spring musicals from 2014 through 2016. Why they performed the show — In a change of pace from 2013’s “Peter Pan,” the theater department decided to go with one of the most emotionally powerful shows it had put on in years. They said it — “Trust in your fellow actors is something I never felt until this show,” student actor Elisabeth Siegell said. Why they performed the show — The theater department wanted to perform a show that reflected the diversity of the school community. They said it — “You can show people this idea of acceptance or love or communication,” student actor Morgan Smith said. 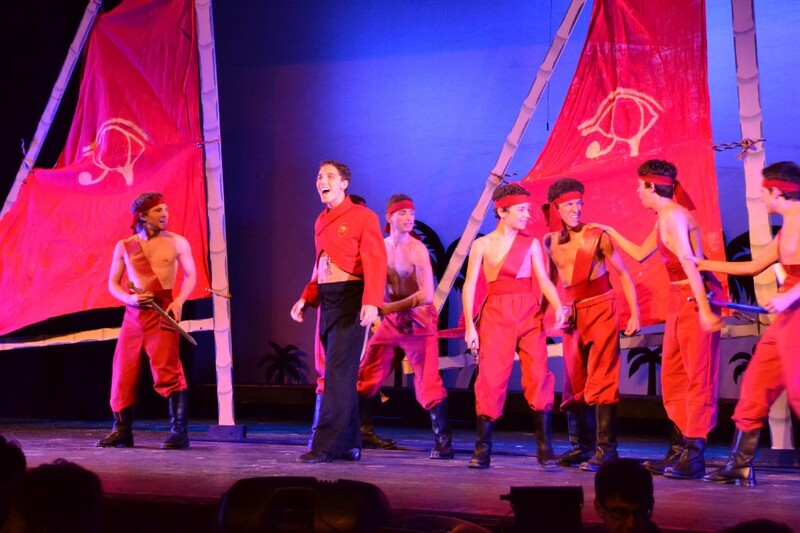 Why they performed the show — After performing the very serious and emotional “Aida” in 2014, the theater department decided to switch gears and perform a more light-hearted show. Why they performed the show — Cherry Hill West became one of the first high schools in South Jersey to get the rights to the musical version of “Mary Poppins,” allowing local residents to see the show for the first time. Why they performed the show — Three years following the 2013 performance of “Peter Pan,” Cherry Hill East Theatre decided to perform another kid-friendly, Disney-based show. Why they performed the show — Cherry Hill West Theater decided to perform a Disney-themed musical for the second straight year after the success of “Mary Poppins.” The rights to “The Little Mermaid” had just been released.